Google is known to tweak the Pixel Launcher with every new iteration of the Pixel lineup. These changes are usually minor and subtle. The most noticeable change Google has ever made is moving getting rid of the Google pill widget introduced with the launcher on the first generation of Pixel phones. Instead, they placed a search bar at the bottom, inside the dock when Pixel 2 came out. The Pixel Launcher from Google Pixel 3 is merely a slightly more refined version of that same launcher. With frequent translucent, mostly colorless search bar from the Pixel 2 has slowly turned more white and the icons have become more colorful. Soon before the launch of the Pixel 3 though, Google removed the voice search icon from the search bar. That empty place left has now been filled by the Google Assistant icon. That makes sense since tapping the voice search icon called on the Google Assistant anyway. We’ve seen this change even before the Pixel 3 was announced in several leaks and press renders. 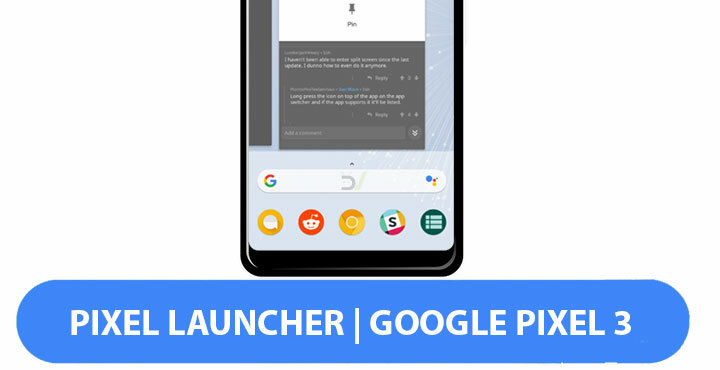 A Pixel Launcher port with the said change was also ported to other Android devices before the Pixel 3 announcement. If you don’t have a Google Pixel, you can try that ported APK. It does look pretty much the same as the original Pixel Launcher from the Pixel 3. It also has some of the other new changes such as forcing adaptive icons on every app icon. This makes for a more uniform look, but also makes many icons look bad. Some other changes that you won’t find with the ported Pixel Launcher are in the recents menu. The padding and spacing in the dock area have been adjusted and there’s also an up arrow icon above the search bar. The most prominent change though is the menu that pops out when you tap on the app icon on a recent app card. 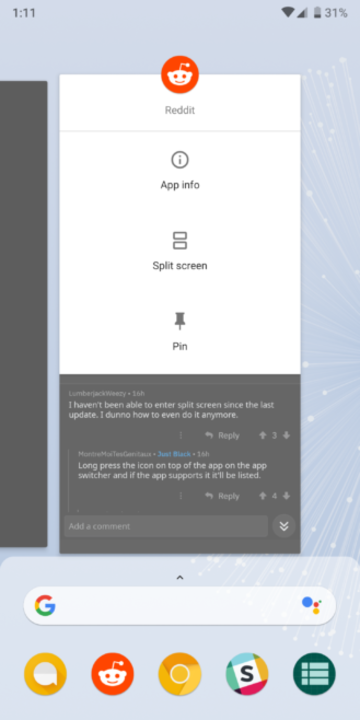 The menu options are still the same and let you enter split screen mode, see app info, or pin the app. The pop-out menu card has been replaced with a less fancy white space that doesn’t flow out of the app card. 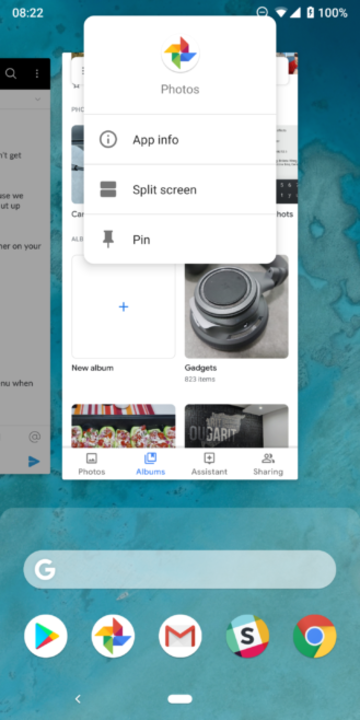 Previously, Android Police shared the Google Camera from the Pixel 3 and this Pixel launcher APK has also been shared by them. You can download the APK from the APKMirror link provided below. Keep in mind this will only work with Pixel and Android One devices, and other devices that come pre-installed with the Pixel Launcher. Download the Pixel Launcher APK from the download link above and tap on the download notification when download completes. This will launch the package installer. You will now have to allow your browser app the permission to install APKs if you’ve never done this before. Alternatively, you can launch your File Explorer and navigate to the Downloads folder then tap on the downloaded APK. In that case, you’ll just have to grant the permission to your file explorer. Tap on INSTALL in the bottom right. Once installed, you can’t directly open the Pixel Launcher like you can any other app so tap DONE. Press the home button to bring up a list of installed app launchers and select Pixel Launcher from the list. You can set it as the default launcher here too. problem with package parsing. What’s the reason? On what device did you try? Also, what’s your Android version?